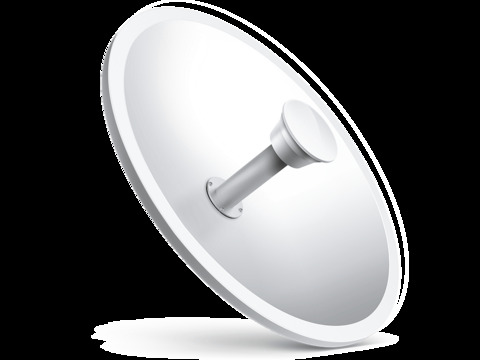 The Pharos Dish Antenna features 2x2 MIMO technology, is suitable for outdoor use, and is ideally paired with a Pharos Base Station. This antenna feature high-gain directional transmission and represent an excellent solution for providing long distance Point-to-Point data transmission. When installed alongside a Pharos Base Station, the TL-ANT5830MD is capable of providing long distance Point-to-Point bridge and network backbaul. TP-LINK dish antennas feature a built in mounting apparatus and work seamlessly with Pharos Base Stations, meaning that no tools are required for installation.